Managing Partner Richard Abramowitz has been assisting Florida personal injury victims for more than 30 years. 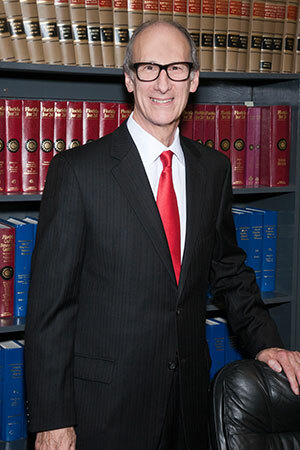 He is AV-rated by Martindale-Hubbell and is included in their Bar Register of Preeminent Lawyers. He focuses his practice on personal injury law in the areas of wrongful death, catastrophic injuries, auto accidents, premises liability and product liability. He has been listed in the South Florida Legal Guide as a “Top Lawyer” in the practice area of personal injury and wrongful death. Mr. Abramowitz has extensive experience obtaining significant recoveries, having handled and supervised thousands of personal injury claims for clients. He strongly believes in rigorous case management to ensure that every case receives the individual attention necessary for both timely and satisfactory results. Mr. Abramowitz has served as corporate counsel to numerous corporations, limited liability companies and professionals, having handled all aspects of their legal requirements. He currently serves as an officer or manager of a number of corporations and limited liability companies and he has served as director of a publicly traded insurance holding company. Mr. Abramowitz is a member of the American Association for Justice, the American Bar Association, The Florida Bar, the Million Dollar Advocates Forum and the Florida Justice Association. He is admitted to practice in all Florida state courts and in Federal District Court for the Southern District of Florida. He is also admitted to practice in the state of New York. Mr. Abramowitz was awarded his law degree from Hofstra University School of Law where he graduated as one of the top ten students in his class and was a member of the Hofstra Law Review. He received his Bachelor of Science degree in finance from Long Island University. To view my Google Plus account click here.